Savory stuffed sweet potatoes topped with Italian flavors such as marinara sauce and mozzarella cheese. A quick & easy sweet potato recipe that’s a healthy vegetarian dish. Loaded baked sweet potatoes are so quick and easy to make. A few of my other favorites are Mexican-style Stuffed Sweet Potato (Vegetarian), Sloppy Joe Baked Sweet Potatoes, and Cheesy Baked Sweet Potato Skins. Roasted sweet potatoes are so versatile and can be topped with so many toppings to make it a meal. If you don’t want the slow method of roasting sweet potatoes, you can make them fast in the microwave. To make them in the microwave, prick the potatoes all over with a fork. Microwave on high for 8 to 10 minutes or until tender, turning the potatoes once. 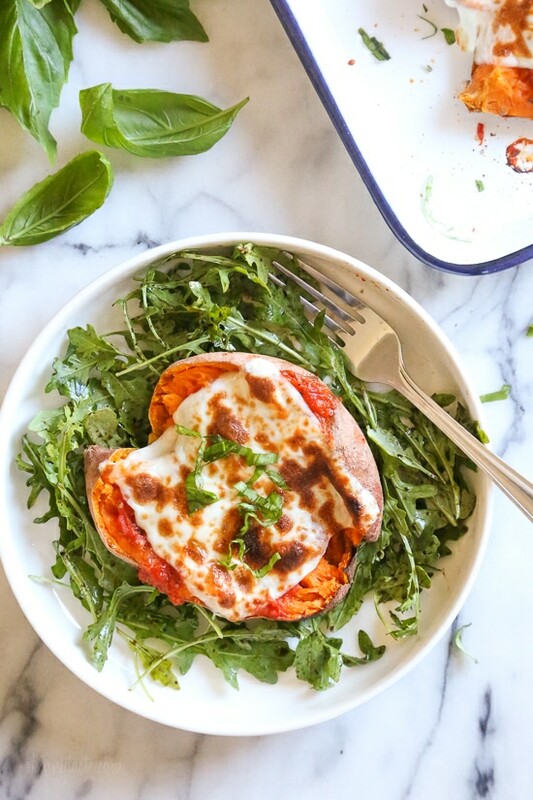 What toppings to put on a sweet potato? 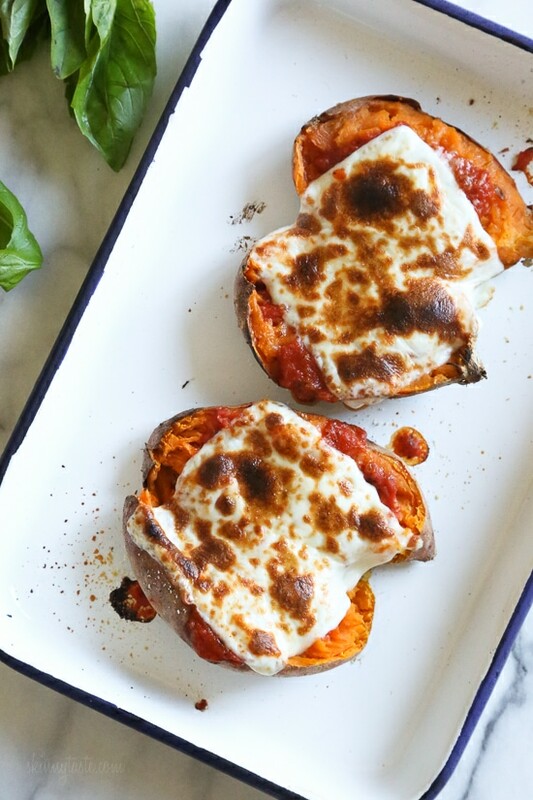 These savory stuffed sweet potatoes are topped with Italian flavors such as marinara sauce and mozzarella cheese. A quick and easy healthy vegetarian dish. Cover a large sheet pan with foil and spray with cooking spray. Move oven rack to the second highest slot. 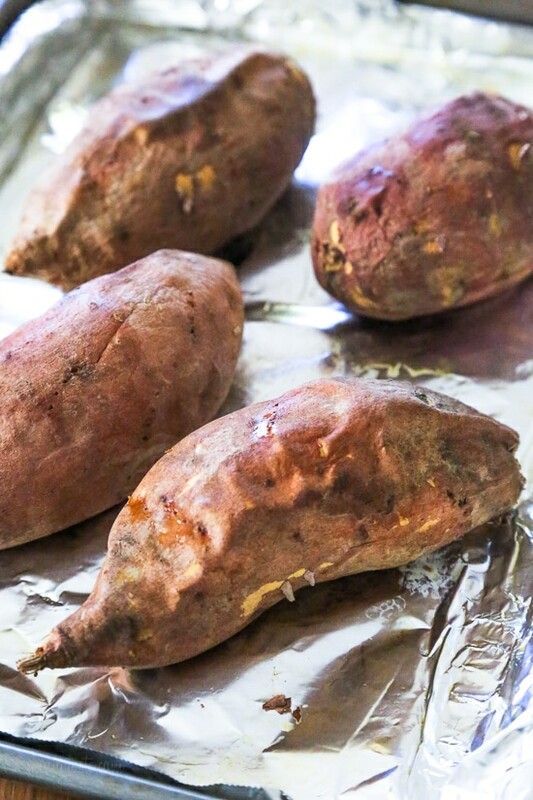 Poke each sweet potato 4-5 times with a fork and place on the prepared sheet pan. Roast for 45 minutes. Remove potatoes from oven and carefully slice open. Allow the steam to escape and then mash the flesh with a fork. 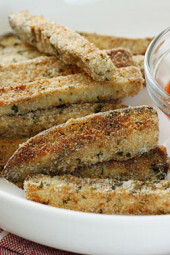 Evenly distribute the tomato sauce, ¼ cup parmesan and Italian seasoning among the 4 sweet potatoes. Add a pinch of salt and pepper to each and carefully mix it in with the sweet potato flesh. Switch oven to broil (high), top each potato with 1 ounce of mozzarella and broil 3-4 minutes, or until the cheese has browned. 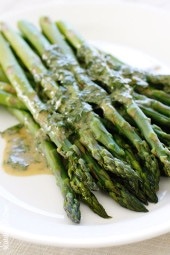 Meanwhile, in a medium bowl, toss the arugula with vinegar, oil, salt and pepper. Distribute salad evenly to 4 plates or shallow bowls. Top each with a sweet potato, then pine nuts, basil and red pepper flakes, if using. 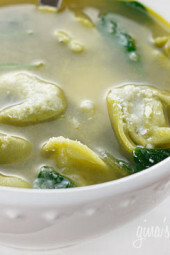 I made this recipe for two this evening for dinner, reducing the amounts by half. 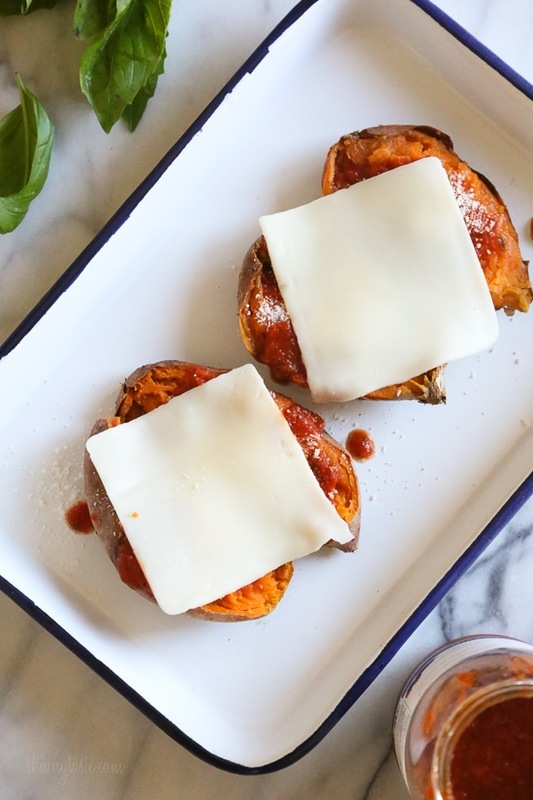 Although the preparation time was a little longer than the stated 50 minutes, my husband and I enjoyed the combination of marinara sauce, grated Parmesan and Mozzarella atop baked sweet potatoes. It was different, vegetarian, and fairly low in calories. Using aluminum foil sprayed with cooking spray made cleanup really fast and easy. I will definitely use this recipe again. This was different, but delicious! Italian seasoning is mentioned in the directions but not listed in the ingredients? The Sweat Taters are an Absolute Humdinger..couldn’t wish for anything better. 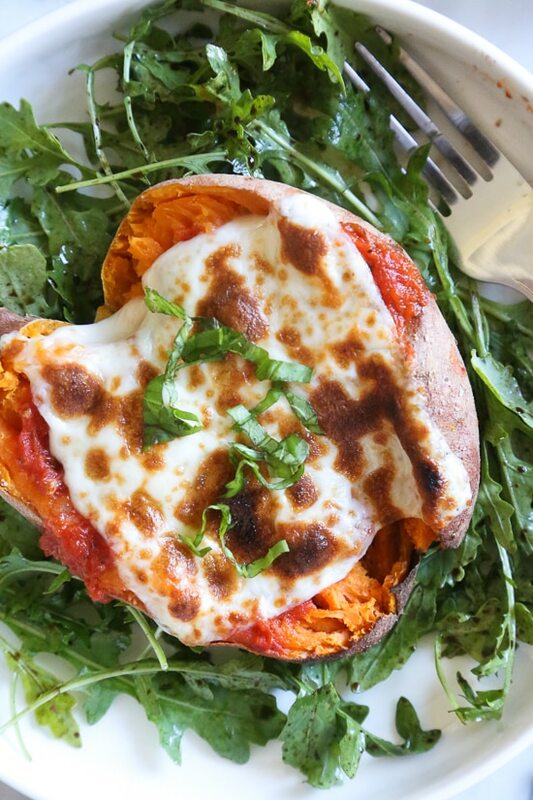 Looks delicious, I actually just made the loaded vegetarian stuffed sweet potatoes last week. I think I prefer savoury sweet potatoes now, I will definitely make these for lunches next week. One thing to mention is that pine nuts are listed in the directions but not the ingredients list. Sorry, they are optional. I just updated it.